Special runner rates are available under group name: Quantico 12K with group code: Q12 between Friday, August 23 and Sunday, August 25. Book before July 24, 2019 to secure the best available rate. Runners may make reservations online or by calling 703-441-9001 or 1-800-HOLIDAY. Reservations are also available through the Holiday Inn website by using group code: Q12. 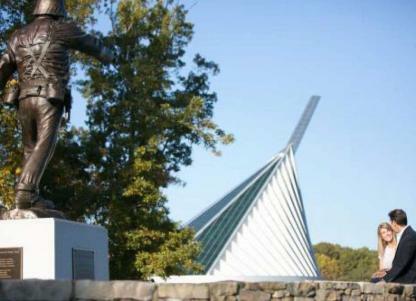 Hosted at Officer Candidates School, the Quantico 12K is a 7.46 mile run, held in conjunction with the Quantico Tri. The part-gravel, part-paved course finishes adjacent to the famed OCS PT Fields. Dates and times to plan for registration and participation in the Quantico 12K.